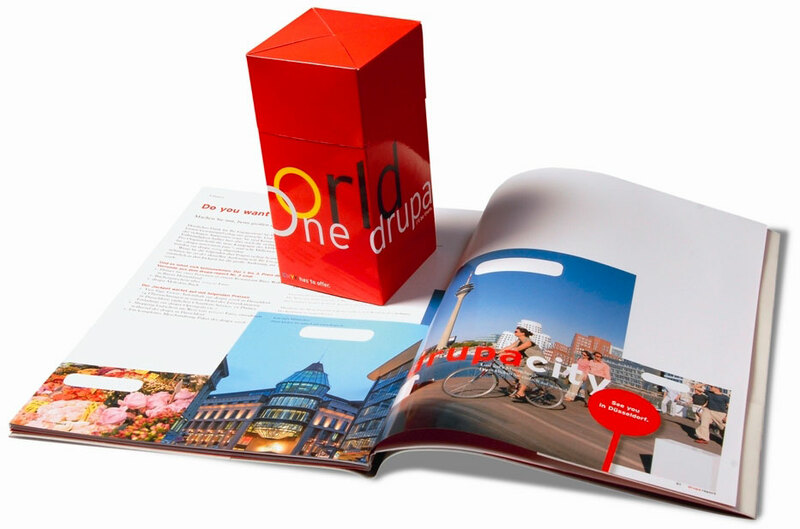 As the world’s largest print media trade fair, drupa is the most important showcase in our industry, so great care is taken over the design of the official trade fair publication – the drupa report. Only cutting-edge print technology is used in its production. As the world’s largest print media trade fair, drupa is the most important showcase in our industry, so great care is taken over the design of the official trade fair publication – the drupa report. Only cutting-edge print technology is used in its production. The fact that we are once responsible for printing the drupa report is actually enough of an accolade in itself, but in addition to this, we regularly win awards for these drupa magazines at renowned competitions in the print industry. 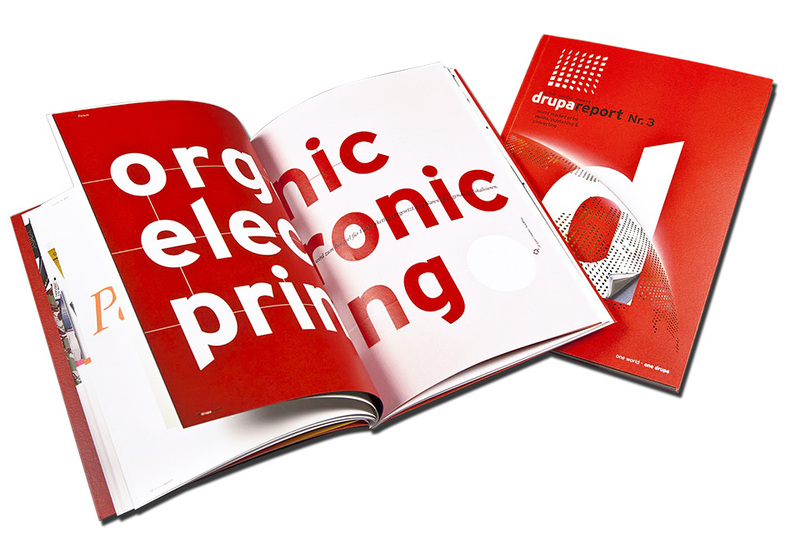 For example, drupa report no. 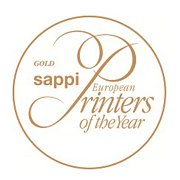 4 won the “Sappi European Printers of the Year Award 2008” in the Magazine category. 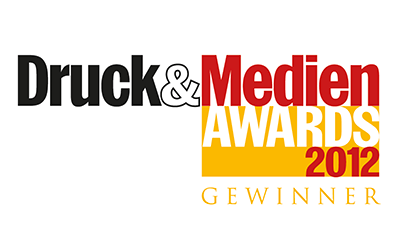 We were also named “Magazine Printer of the Year” at the Druck&Medien Awards 2008. The panel of judges was impressed by the combination of high-quality offset printing, sophisticated surface finishing and high-end postpress techniques. Our success was as much thanks to special neon luminescent ink, matte dispersion coating, UV spot coating and Iriodin coating as to the hot-foil embossing and special die-cutting work. The combination of a high-resolution 140 l/cm hybrid screen with the smooth surface of the Tempo paper enabled excellent reproduction of both the colour images and the text, and gives the magazine its silky touch and elegant feel. For drupa report no. 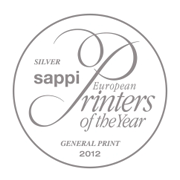 3, for example, we were awarded silver in the General Print category at the “Sappi European Printers of the Year Award 2012”. Paper is a key element of this report. Paper in all its various facets, with its different textures and feels and its wide variety of applications in print communication. Different types of paper are used in the report – from extremely tactile and transparent papers to papers with different grammages and surfaces. The format also changes several times over the 62 pages, from simple flaps to gate folds in the centre of the report. But what would paper be without finishing? Laser punching on the cover page, hot foil laminating, scented coatings and two special neon colours in the inside pages make drupa report no. 3 an instantly recognisable print product. The judges praised the successful representation of print as an information and image medium and were impressed with the top-quality printing and postpress techniques.